Made from only the highest quality materials, Hillsdale bar stools are made for comfort and built to last. With designs from swivel barstools to kitchen counter stools, wood bar stools and metal bar stools, the options are endless. Each barstool is engineered with innovation and time tested craftsmanship to ensure your stools never need to be replaced. With Hillsdale you get a quality barstool at an affordable price. 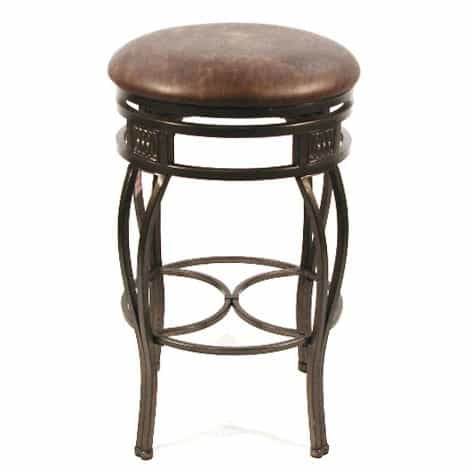 Add style to your home with the Hillsdale Montello swivel bar stools. Finished in old steel with a distressed brown faux leather seat.